Miley Cyrus dyes her hair to channel her inner Hannah Montana and the fans are going crazy. Hannah Montana might not be back on Disney Channel, but it's certainly back on Miley Cyrus latest appearance. Thank the Sweet Jesus for the 26 years old actress who decided to dye her light brown hair blonde, and on top of it, get similar bangs to her iconic Disney character. The '7 Things' singer took to her social media to show off her new look on Thursday writing: "@hannahmontana Forever." in one of the photo captions. The famous Hannah Montana pose. Immediately after Cyrus shared the bundle of images, fans quickly commented assuming that she put on an extension and fake bang to replicate the look of Montana. However, the newlywed celebrity soon cleared out all the fans' confusion confirming that the new hair was not a wig, but in fact her hair. She wrote in one of the shared pics: 'ALL ME! ', thanking her colorist, Justin Anderson, and hairstylist, Sally Hershberger. 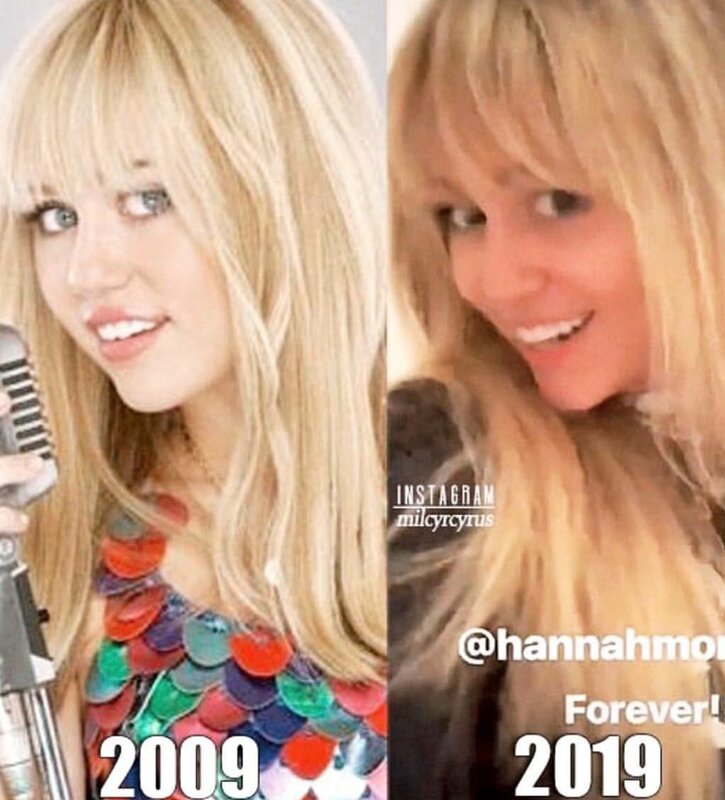 In another video posted by the singer, Miley said: "You know guys, it was so hard going back and forth that I decided I’ll just be Hannah forever," further adding: "She was getting a lot of press this week… thanks to me!" Apparently, daughter of Billy Ray Cyrus who as well appeared on the hit Disney as her onscreen father looked all happy to get back to one of her old roots. The wife of Liam Hemsworth shared a comparison throwback image alongside a new image of with her latest hair look. See the image below. The Last Song actress also claimed in the caption that she won the ten years challenge. Of course, she did. 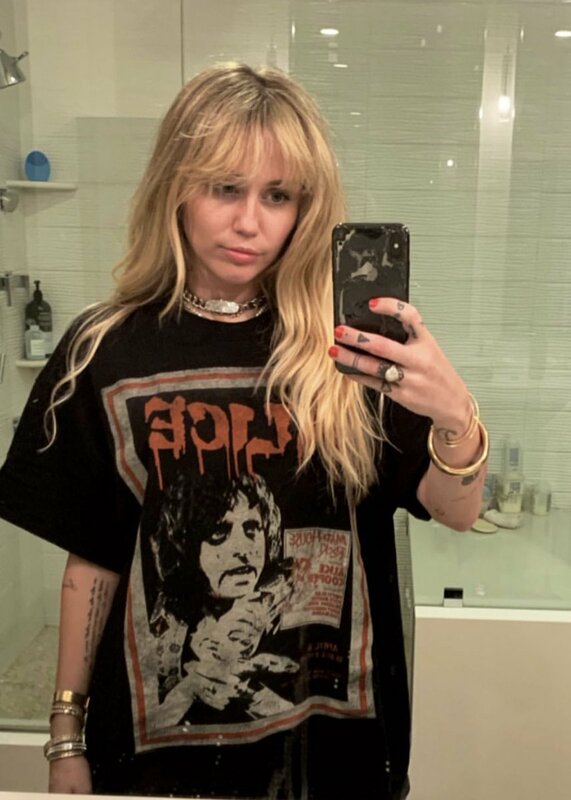 Likewise, another picture showcases a mirror selfie of the star dressed in a black shirt, chain choker, and her golden bracelets, saying that Hannah is all punk now. Hannah Montana is all punk now. The singer also shared multiple videos that showcase the singer jamming out to Hannah Montana theme song, 'Best of Both World,' inside a car. And we personally think it's our favorite ones thus far. On the other side, the fans went nuts to see their favorite two lives living girl dying her hair blonde. One of the fans replied the star saying: "QUEEN OF POP IS FINALLY BACK." Another one wrote: "MIILLEEEYYYY THIS IS TOOOO MUUUCCCCHHH MY CHEST". Previously, some of the fans even assumed that the show was getting a reboot after Cyrys followed a @HannahMontana page on Instagram. The fans then later learned that the rumors were false. However, since Miley dyed her hair blonde, Smilers now wants and expects her to add some of the old Hannah Montana soundtracks to her next music tours. 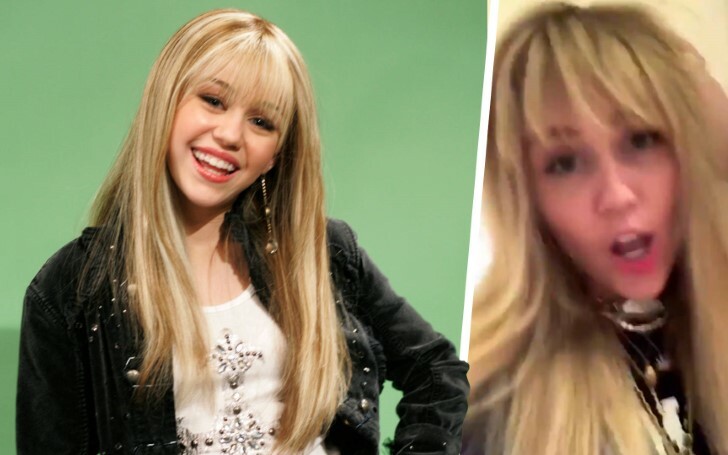 Cyrus' new Montana hair look comes shortly after the singer celebrated the 13th anniversary of the famous Disney show by sharing an old photo of herself to mark the tribute.